Geneva is an amazing city located in southern Switzerland, right on the border with France. This city is known for its beautiful lake scenery and incredible scenery around Lake Geneva. Geneva is home to several UN agencies, but perhaps more memorable for the visitors is its beauty. Geneva is the city of watches, chocolate, knives and cutlery. The town is situated at the foot of the Alps and boasts an incredibly interesting history and impressive monuments. Geneva is actually located in south western Switzerland and is the main administrative centre of the canton of Geneva . This is the second largest city after Zurich and lies just where the Rhone River flows from Lake Geneva. 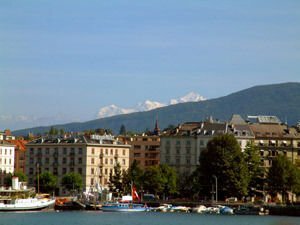 Geneva is surrounded by the beautiful and scenic Alps as well as many more other mountains. The city has a significant financial sector-oriented private banking (managing about one trillion dollars) and funding of international trade. 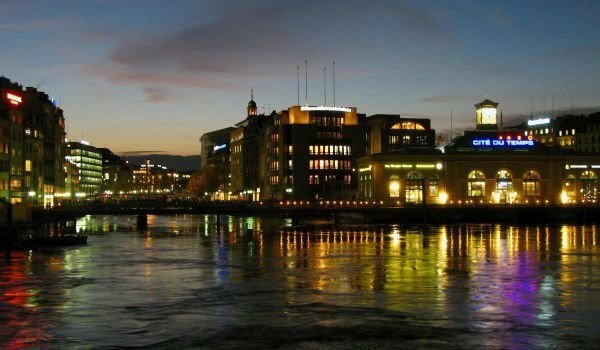 Many world famous companies decide to set up their offices right in Geneva. In this remarkable Swiss city live about 200 000 people. The history of Geneva began about 2000 years ago. In 120 BC, when Roman troops arrived here the city at the mouth of the River Rhone was already quite developed. Even then Geneva bore this name, and indeed the city was founded by the Celts centuries before the Roman invasion. The name first appeared in the descriptions of the war in Gaul with Julius Caesar. The name of Geneva is identical to the name of the Ligurian city of Genoa, in literal translation sounds like a knee or ankle. In the 4th century the inhabitants of Geneva accept Christianity. In the 9th century Geneva became the capital of Burgundy. Although challenged by the Franks, Burgunders and the Holy Roman Empire during the Middle Ages, in practice Geneva is managed by the local bishops. This goes on until the Reformation, when it became part of the Republic. Because the activities of reformers like John Calvin, Geneva has often been called the Protestant Rome. In Geneva Today there are many incredibly beautiful places to visit that will give you real pleasure. One of the symbols of Geneva is Lake Fountain. This beautiful statue reaches an impressive 140 meters tall. It is a fountain with hydroelectric valve facilities on the river Rhone, and adds a fountain to the statue that existed since around 1891. In any part of Geneva you are, you will always see the incredible beauty of Lake Geneva. This is one of the largest lakes in Western Europe. Lake Geneva extends along the Rhone River - between the Jura Mountains to the north and hilly areas in the centre plane of the Alps in the south west. The whole lake has an area of 582 square meters, and here you can rent a boat to walk along the clear waters. Ferries cross the lake since 1823. The beauty of the lake Geneva are worshiped by the likes of Jean-Jacques Rousseau, Lord Byron and Shelley. Among other attractions Geneva a medieval cathedral "St. Peter" which is located in the highest part of the Old Town. Archaeological excavations beneath the cathedral prove its predecessor, dated from the 4th century. The Cathedral of Geneva was once the leading centre of the Reformation. Do not miss the tour of the museum of the international committee of the Red Cross and the museum of modern and contemporary art with its modern and postmodern works. A pleasant walk in Geneva can lead to the Parc des-h-Oh Viv, where there are beautiful views of the buildings and the UN Palace in De Nasion. Palace of Nations was built to house the League of Nations. Today it holds a great art collection and you ca also see the beautiful conference hall.